Africa looks to us as one continent, with perhaps the most recognizable shape of the lot and only the smallest land connection to Asia. But for all its geographic continuity, Africa contains a continental divide as profound as any ocean, and becomes a very different place on either side. Rather like Asia. And the north side had five wars last year. But what’s going on there? 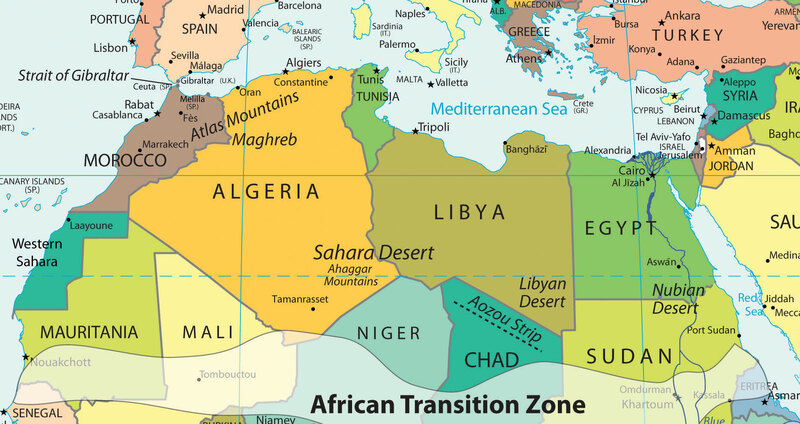 The Sahara Desert separates North Africa from the rest of Africa, and its edge, the subtropical Sahel, translates as the “coastline of trees,” demarcating the ocean of sand. Where the region south of the Sahel mostly evaded foreign conquest until Rome’s successor empires found it, the north spent much longer under foreign heels. The ocean of sand proved a much more formidable barrier than the Mediterranean Sea.